We are a nation of poor posture…. slouching and internally rotated shoulders are the norm…. I bet that made you sit up straight, didn’t it? Don’t worry we’ve got a video at the end of the post to show you how to strengthen your back and correct your posture – I promise it will take less than 10 mins a day! I believe that incorporating some scapular retractions will help us all! That’s where Band Pull aparts come in; perfect for people who work at a desk, slouch, etc. they will surely benefit from them. In my opinion they are also great for incorporating into your training program. Best of all you can pretty much do it anywhere! So make it part of your daily routine… and pack a band even when you travel. How do you know if you have internally-rotated shoulders? Try the pencil test. Stand up with your hands at your sides and a pencil in each hand. Let your shoulders relax and your arms hang. In which direction are the pencils pointing? If they’re straight ahead, congratulations—you have good posture. If the pencils face toward each other, your shoulders are internally rotated, and your posture needs work. Not only does it cause some muscular pain in your Thoracic (upper middle back) because your muscles are having to work harder… there are so many other negative side effects slouching does to you. When the body is slouched and constricted, it prevents it from working optimally, which results in a poor mood. To get a visual picture of this concept, think of what happens to an Oreo cookie when you squeeze it together. By sitting up straight, you will not only improve your digestion, but lose a few inches in your waist too. Tension headaches are another common side effect of poor posture. Office workers tend to experience more headaches simply because they are putting so much tension and strain on their bodies by sitting all day. The tension in your neck, shoulders and spine eventually work their way up to your head and cause a tension headache. Fix your posture by strengthening your upper back with Band Pull-Aparts. Don’t be afraid to do lots of high-rep sets. 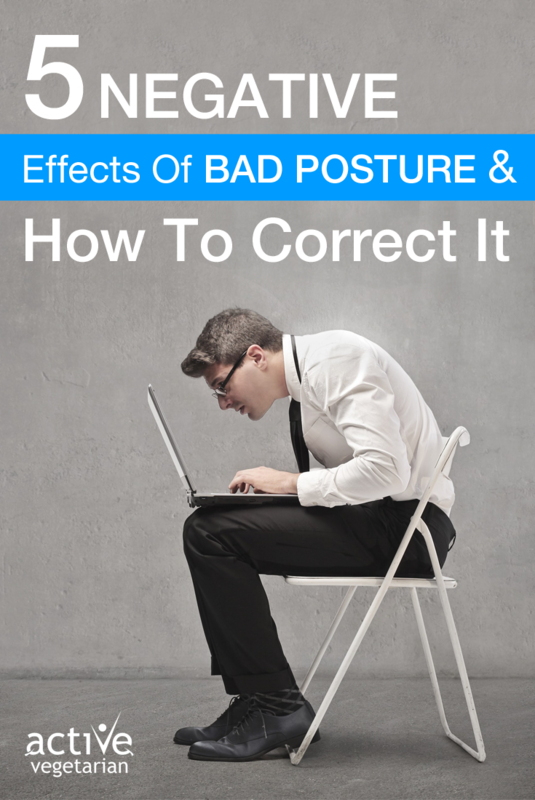 It takes a lot of volume to undo the postural damage caused by too much slouching and heavy benching. Hold a light band at arm’s length with your palms down and hands shoulder-width apart. TIP: As you can see in the video I am laying down – this is to help keep you from arching your lower back (think about belly button to spine – engaging the core) as you contract your rear delts. Thanks for pointing out the negative effects of bad posture. I have been developing poor sitting posture since I started my e-commerce business. Thanks for guiding me how to correct my bad posture.